How many times have we seen this from Jiizuke? But Rogue certainly didn’t play like underdogs, pushing back against Vitality’s splitpush. Even though Mowgli got off to a dream start, pressuring the Rogue jungle with abandon, Rogue were able to regroup and got enough kills to keep things close despite Vitality’s laning advantages. That’s when Vitality decided to do what they do best: Backdoor. The team became known for cross-map plays last year, especially from mid laner Daniele “Jiizuke” di Mauro. They even pulled off a backdoor at Worlds. So when Rogue pushed up the mid lane as a five-man group, Vitality simply let them. Both teams saw Jiizuke splitpushing the bot lane as Ryze. But as a new team to European League of Legends, Rogue didn’t have first-hand knowledge of just how dangerous that Ryze could be. By the time they figured out that they needed to run for the hills, it was too late. 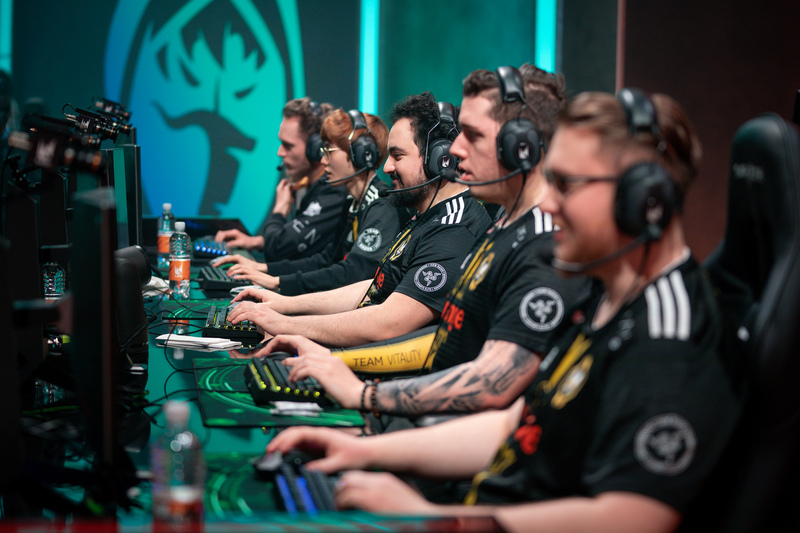 Vitality stopped their recalls and teleports, and just like that, the game was over. It was an exciting way to end the game, and boy, did we need it. There just weren’t that many huge moments in the other games today—in the last game of the day, Misfits simple wiped Fnatic off the map.